Creating Acadia National Park is available through Acadia-area booksellers, and other retail outlets. To order online, Click Here. Retailers: Please contact Carol at carol@friendsofacadia.org for wholesale ordering information, or download the wholesale order form here. Distributed solely by Friends of Acadia. Libraries: We are please to offer a special discount for nonprofit libraries. Please contact Carol at carol@friendsofacadia.org for information. 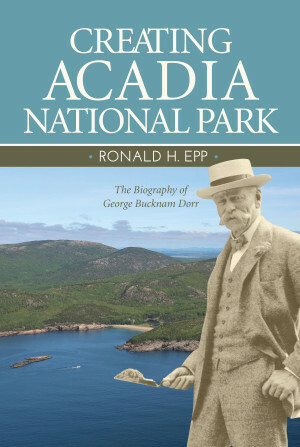 The first biography of George B. Dorr ever written, Creating Acadia National Park: the Biography of George Bucknam Dorr is based on painstaking research both in the US and abroad, including federal, state, and private archives. Newly-discovered and uncatalogued sources are supplemented by in-person interviews. This work will appeal to general and scholarly readers who care about the philanthropic roots of land conservation, those interested in what has been celebrated as “America’s Best Idea,” and above all, those who know and love Acadia National Park. 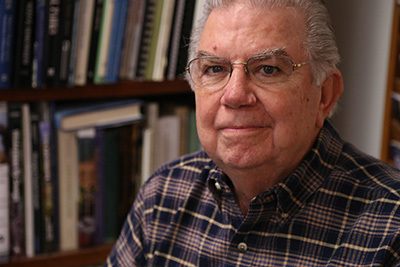 RONALD H. EPP, Ph.D. is a historian and professor of philosophy with a background in scholarly publishing and academic library leadership. His research over the last two decades into the Massachusetts families that influenced the development of conservation philanthropy has resulted in numerous talks and publications for Acadia National Park, Hancock County Trustees of Public Reservations, Mount Desert Island Historical Society, and many other organizations. He served as a consultant for the Ken Burns documentary America’s Best Idea: the National Parks and has uncovered and inventoried hidden collections of documents relating to the history of Acadia National Park. “George B. Dorr has always been more myth than man. He is seen off in the distance striding purposefully along a trail, or standing, pensively, atop a mountain ridge looking to the distant horizon. Known locally as the father of Acadia, George Dorr was largely unknown nationally until now. With this biography, Dr. Ronald Epp eloquently brings George Dorr’s life and accomplishments onto a national stage. Weaving threads of the cultural, intellectual and historical milieu in which Dorr lived, Epp’s writing is both scholarly and engaging. —Margaret Coffin Brown, Historical Landscape Architect at the NPS Olmsted Center for Landscape Preservation and author of Pathmakers: Cultural Landscape Report for the Historic Hiking Trail System of Mount Desert Island. Although he is known as the “Father of Acadia” and a founder of the oldest national park east of the Mississippi River, George Bucknam Dorr’s seminal contributions to the American environmental movement have gone largely unacknowledged. Even today, those who live in or visit the coastal Maine communities surrounding Acadia National Park do not fully realize the scope of his achievements. This biography is the story of Dorr’s pioneering role in the establishment and development of a unique conservation model that dovetailed with the evolution of the US National Park Service—which shares its 2016 centennial with Acadia.Raised in Boston as a member of New England’s elite merchant class, Dorr adopted Maine’s Mount Desert Island as his home and the setting to apply the practical lessons of “Boston Brahmin” philanthropy that tracked back to his maternal grandfather, banker and Harvard College Treasurer Thomas Wren Ward. Yet through his finest work—the creation and management of Acadia National Park—and through his collaborations with park co-founders Charles W. Eliot, John D. Rockefeller Jr., and others—Dorr transformed an elitist social inheritance into an all-consuming commitment to conservation. One hundred years after its founding, this national treasure is visited, enjoyed, and beloved by millions every year. The first biography of George B. Dorr ever written, Creating Acadia National Park: the Biography of George Bucknam Dorr is based on painstaking research both in the US and abroad, including federal, state, and private archives. Newly-discovered and uncatalogued sources are supplemented by in-person interviews. This work will appeal to general and scholarly readers who care about the philanthropic roots of land conservation, those interested in what has been celebrated as “America’s Best Idea,” and above all, those who know and love Acadia National Park.